All the way from Miri to the outskirt which is on the way to Niah: Bekenu aka Sibuti if you like. I went there together with a group of maniacs as part of the very first gathering trip organised. Let's see what make us drive nearly 45 - 60 minutes all the way from Miri and what exactly made us drive all the way there? This place is probably known by most Mirians: their prawns. The prawns are fresh and you can taste the sweetness of it. Prawns which are not fresh usually ended up the meat is way too soft and not as tender as it suppose to be, like a bit of chewy and bouncy sensation when you had them. 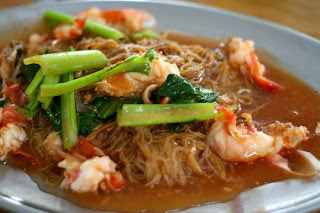 You can have different ways of enjoying the prawn noodle: dry fried, wet fried, ketchup (or tomato) flavoured, fried and boiled type, you name it. I personally tried the fried and boiled type and i think that's the best way you can enjoy the greatness of prawn flavour to the max. The reason i said so is that i believe the stock is actually made from cooking all the prawns serve so easy spoonful of stock are so rich in prawn flavours. If you never been there, i suggest you to make a trip to this place and try, maybe a group of 4, as the fuel price has increased and it is good idea to car pool. Each serve i had at that moment will way below RM10, i am not sure about now. Their services, however, quite rude and a bit disappointed. Maybe they had a bad day. 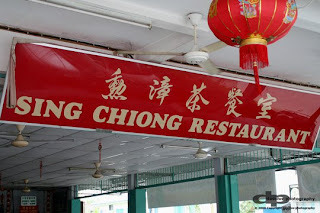 This is not only their specialties, feel free to try their other seafood too. One of the dish you might want to try is the "tutu" fish. Very expensive and in Miri city it is as expensive as at least RM70 per KG! Yes, I've tried the 'tutu' fish or ikan betutu in Malay here. Very delicious. 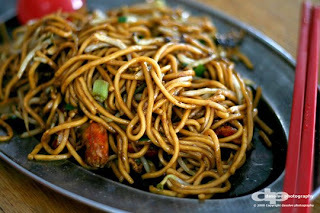 Their fried mee/meehoon/kueh tiaw are very nice too. Is it possible to get the pictures of deliciously cooked "tutu" fish posted here? 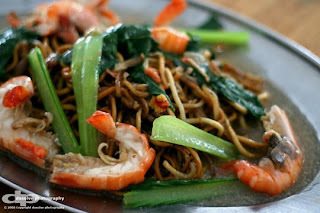 I suggest the makanmaniac.com host to do that so that we can promote it to the tourists coming to Miri.